Must be booked and paid by check in full by October 31, 2013. Promotion is not valid on existing reservations and can not be combined with any other offer. Reservations are based on double occupancy. 20% commission paid after client's travel is completed. This wonderful 7 day hot deal combines the mysterious experience of visiting Lima, Cusco & Machu Picchu and nearby tourist spots. This very special tour offer features Lima and Cusco. The program begins with two nights in Lima and includes a full day touring Colonial and Modern Lima. You will then continue for 4 nights in Cusco, capital of the Inca Empire, and a World Heritage Site since 1983. Discover the beauty and mystery of Dubai. Ascend to Buj Khalifa top floor, desert safari & more. Although the early history of Dubai is not very well documented, archaeological discoveries suggest that, as long as 4000 years ago small fishing communities lived along the coast of the Arabian Gulf on the site of modern Dubai. Dotted around Dubai are a number of historic buildings and sites that offer a glimpse of a bygone era such as the Al Fahidi Fort, Sheikh Saeed’s House, and the Bastakiya. From Dubai you can access all the United Arab Emirates by car. Eco Magic Tour An intimate visit to 3 of Costa Rica’s “Must See” gems, the beaches of Manuel Antonio, Villa Blanca Cloud Forest and the active Arenal volcano. A great combination! Extraordinary hotel selection!Featuring the famous Si Como No Hotel in Manuel Antonio, Villa Blanca Cloud Forest Hotel, and the beautiful Mountain Paradise Hotel. 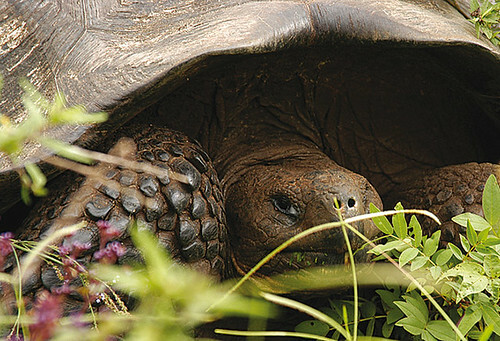 At Charles Darwin Research Station we will meet Lonesome George and learn about the efforts that have been done to restore the tortoise populations in the islands. In South Plaza there are two species of iguanas: land & marine, a colony of Swallow-tailed Gulls and sea lions. Beautiful views of nearby cactus forests. Chance to see the Galapagos hybrid iguana, unique in the world. Hiking in Santa Fe can be either intermediate or high intensity. Special sighting opportunities include the endemic Santa Fe land iguana, the tallest cactus species, and a Palo Santo forest. 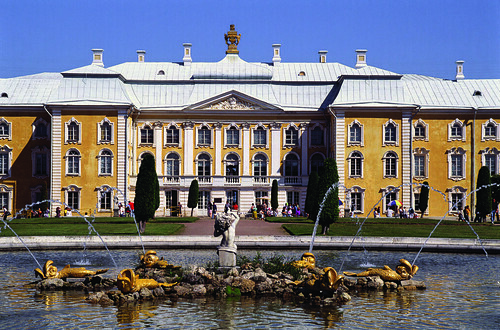 Our Moscow – St. Petersburg river cruise is a trip to Russia that you have dreamt of all your life. It is our most popular destination with first time and experienced travelers alike. In addition to the several days of exploration and sightseeing the magnificent imperial Russian cities of Moscow and St. Petersburg, your itinerary will include picturesque and ancient Volga River cities of the "Golden Ring" and mysterious Kizhi Island. M/S Chekhov is a large river vessel (Project Q-056), specially designed for long river voyages. This ship features innovative design of public areas including two bars (one of which has a swimming pool under a sliding glass roof), reading lounge, lecture room and a movie theater. Experience the splendor of Jordan. 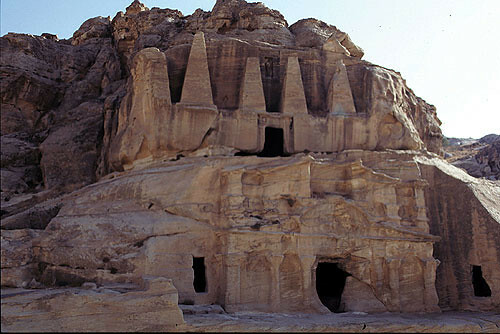 Includes guided tours in Amman, Jerash, Ajlun, the Dead Sea, Mabada, Mt. Nebo, Kerak, and Petra. Amman City tour, including the Kan Zaman Village. Visit to the “Pompeii of the East” – Jerash and Ajlun. Visit & swim in the Dead Sea, the lowest spot on earth. Continue to Pella, the Jordan Valley then on to Umm Qais, the Gadara of Antiquity, view the magnificent Sea of Galilee. Visit St. George’s Church where the oldest map of the Holy Land exists. Mt. Nebo the alleged burial site of Moses. Full day tour of Petra visiting the ‘Treasury’. Visit Wadi Rum Desert and its awesome moonlike landscape..
*Must be reserved by phone and paid in full by check at time of reservation. Not valid for credit card payments or existing bookings. Must be booked book by October 31, 2013. This offer cannot be used in conjunction with any other offer or promotional code, offer is not combine-able, nor available for group bookings. Offers may not always be available and could end at any time.